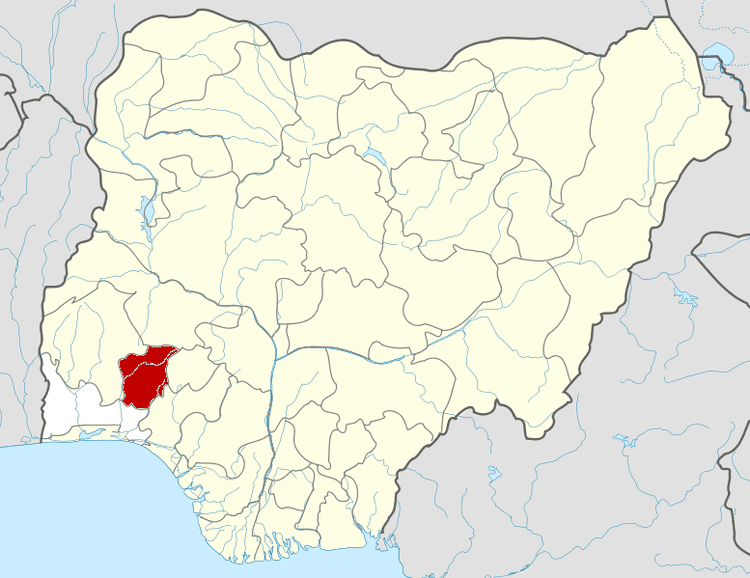 Osun is an inland state in south-western Nigeria. Its capital is Osogbo. It is bounded in the north by Kwara State, in the east partly by Ekiti State and partly by Ondo State, in the south by Ogun State and in the west by Oyo State. The state's current governor is Rauf Aregbesola, who was declared as the winner of 2007 election by Appeal Court in Ibadan on 26 November 2010. Ogbeni (Rauf Aregbesola) was also Reelected as Osun's Governor on August 9, 2014. 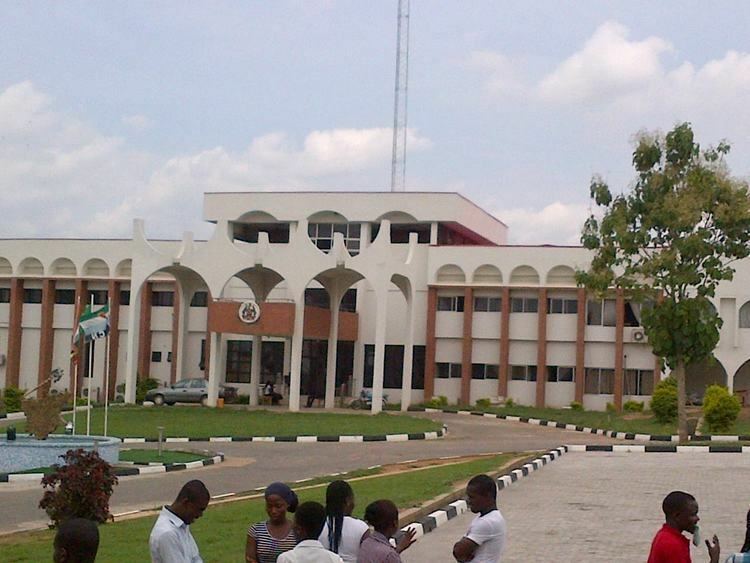 Osun is home to several of Nigeria's most famous landmarks, including the campus of Obafemi Awolowo University, Nigeria's pre-eminent institution of higher learning. The university is also located in the ancient town of Ile-Ifẹ, an important early center of political and religious development for Yoruba culture. Other important cities and towns include the ancient kingdom-capitals of Oke-Ila Orangun, Ila Orangun, Ijebu-Jesa, Ede, Iwo, Ejigbo, Modakeke, Ibokun, Ifetedo, Esa-Oke and Ilesa. The modern Osun was created in August 27, 1991 from part of the old Oyo State. The state's name is derived from the River Osun, the venerated natural spring that is the manifestation of the Yoruba goddess of the same name. The former Governor Oyinlola launched and laid the foundation for the groundbreaking of Osun State University with six campuses (Osogbo, Okuku, Ikire, Ejigbo, Ifetedo, and Ipetu-Ijesha) strategically located across the state. Important cultural events in the state include the Ori Oke and Egungun festival in Iragbiji, Olojo in Ife and the Osun Osogbo festival. 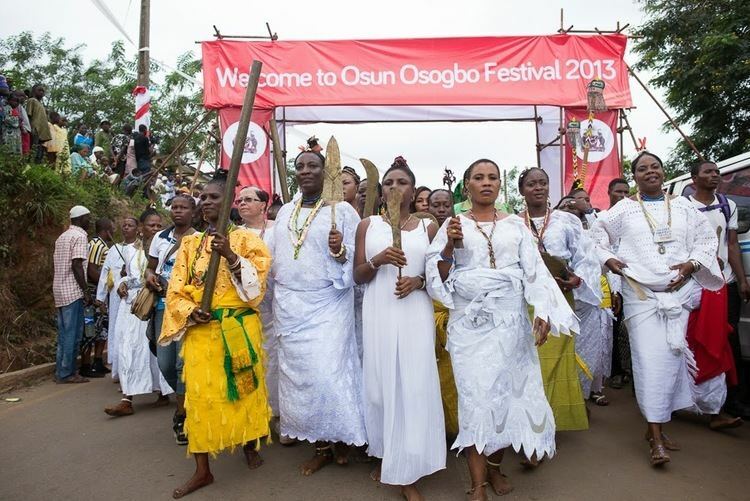 Every year, adherents and non-adherents of Osun, one of the Orisa (the traditional deities of the Yoruba people), travel from all over the world to attend the annual Osun-Osogbo festival in August. Visitors include nationals of Brazil, Cuba, Trinidad, Grenada, and other nations in the Americas with a significant Yoruba cultural heritage. Annual traditional festivities and invocations of the Osun goddess are held along the banks of the river bearing her name into which - according to Yoruba Oratory traditions - she transformed. Ọsun-Ọsogbo Grove, the shrine of the annual rites of the deity and an important artistic center, was declared a World Heritage Site in 2005. The major sub-ethnic groups in Ọsun are Ife, Ijesha, Oyo, Ibolo and Igbomina of the Yoruba people, although there are also people from other parts of Nigeria. Yoruba and English are the official languages. People of Osun State practice Islam, Christianity and paganism called traditional faith. 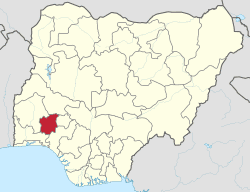 Osun, created from the old Oyo State in August 1991, has a large population of both Muslims and Christians. Among the famous religious leaders from Osun State is the London-based Muslim cleric Sheikh Dr. Abu-Abdullah Adelabu, who hailed from the state's capital city, Osogbo and Pastor (Dr.) Johnson Ade Odewale of Christ Apostolic church, Calvary Assembly from Odeomu, who is based in Boston, USA. The popular pastor E.A Adeboye hails from Ifewara in Osun state. The Osun State government claims to offer services to both Muslims and Christians in the state, especially through Pilgrims Welfare Boards. The major traditional rulers in Osun State acclaim either the Faith of Islam or Christianity. While, for instance, Ooni of Ife Oba Adeyeye Enitan Ogunwusi (Ojaja II) and Owa Obokun Adimula of Ijesaland Oba Gabriel Adekunle (Aromolaran II) ascribe to Christianity, Orangun of (Ile) Ila-Orangun Oba Wahab Kayode Adedeji Oyedotun (Arutu-Oluokun Bibiire I), Ataoja of Osogbo Oba Jimoh Olaonipekun Oyetunji (Larooye II), Timi of Ede Oba Munirudeen Adesola Lawal (Laminisa I) and Oluwo of Iwo Oba Abdul Rasheed Adewale Akanbi (Ilufemiloye Telu I) practice Islam. Osun is divided into three federal senatorial districts, each of which is composed of two administrative zones. The state consists of thirty (30) Local Government Areas, the primary (third-tier) unit of government in Nigeria. List of current Local Government Area Chairmen.